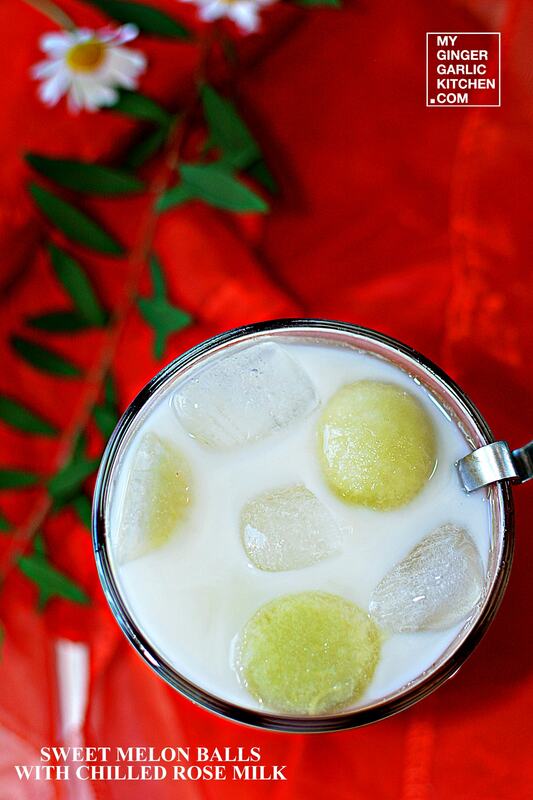 What is Sweet Melon Balls With Chilled Rose Milk ? 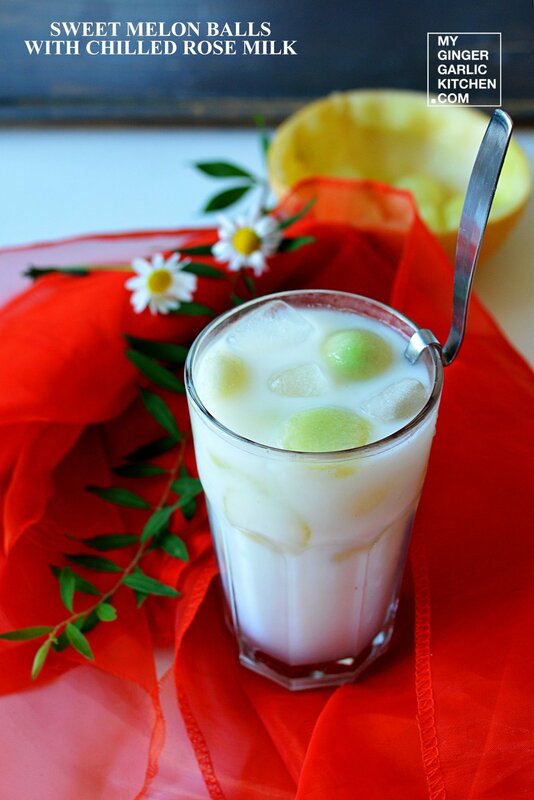 Sweet Melon Balls With Chilled Rose Milk is a refreshingly sweet and flavoured milk drink. 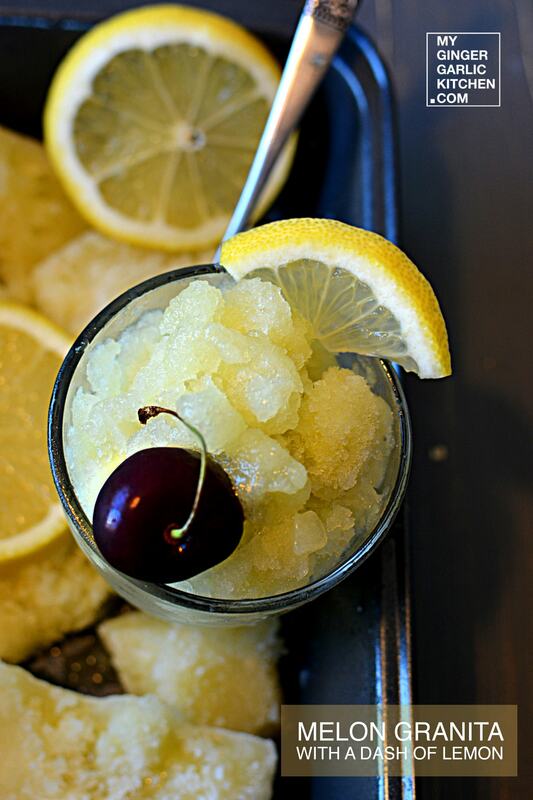 This sweet & cold beverage has all it in to brighten up a hot summery day. 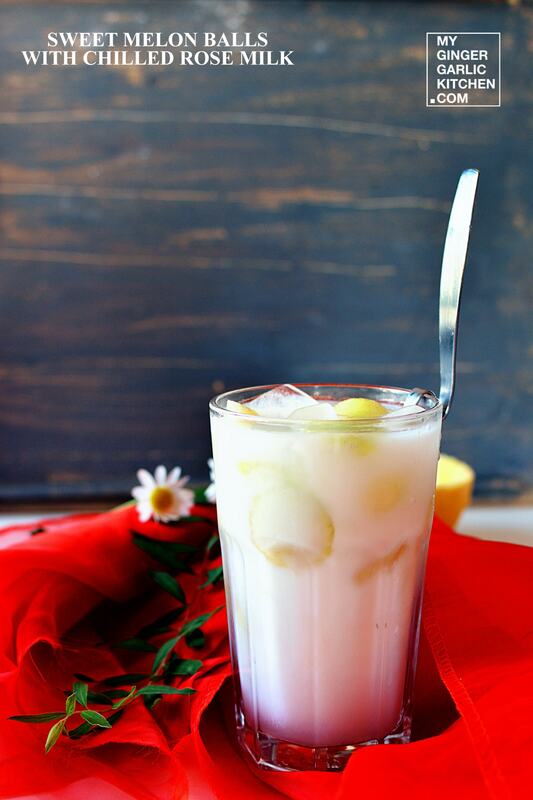 When the sweet aroma of melon balls and sugary iced milk comes with a rose flavour, that is all your heart desires. 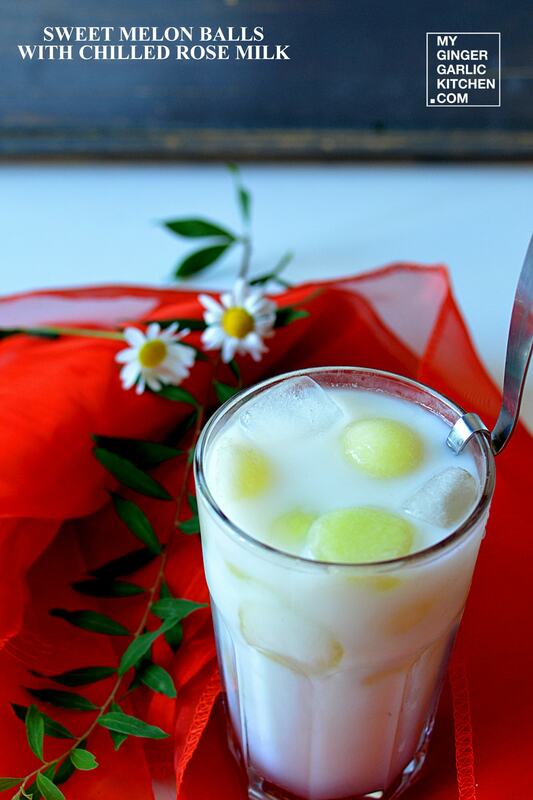 Let’s learn to make Sweet Melon Balls With Chilled Rose Milk in 2 easy to understand quick steps. Cut melon in half crosswise. Scoop out the desired amount of melon by using a melon baller. Take a pitcher. 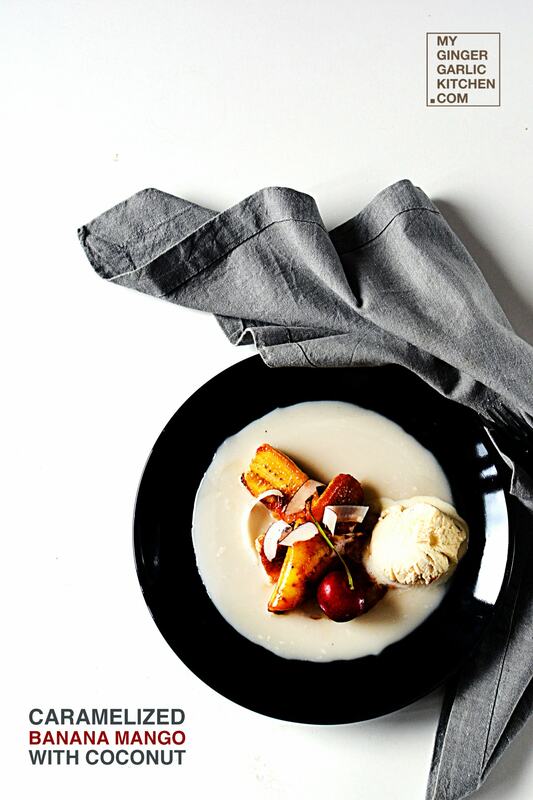 Add sugar, milk, rose water, cardamom powder and stir until the sugar dissolves fully. 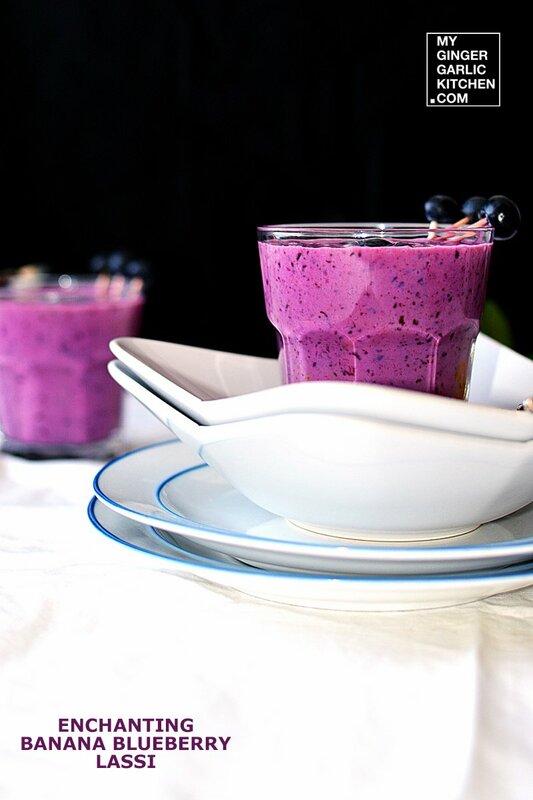 Take 4 glasses, pour sugary milk into serving glasses. Add ice cubes, and melon balls to the glasses. 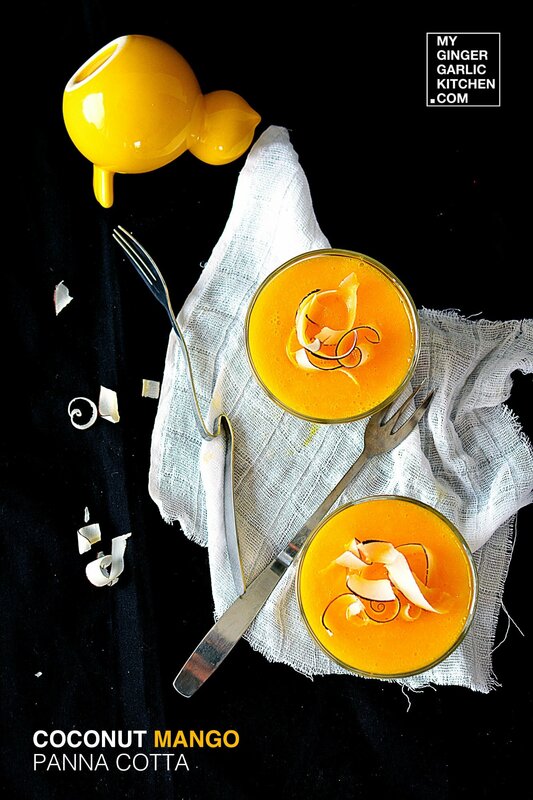 Enjoy on a hot summery day!